Texas Personal Injury Attorneys | Beaumont Lawyers | Provost Umphrey Law Firm L.L.P. Founded in 1969, The Provost Umphrey Law Firm, LLP is proud to have earned an unparalleled reputation for excellence with a legacy of victorious results as Texas Personal Injury Lawyers in areas of Pharmaceutical Litigation, On-the-Job Injuries, Motor Vehicle Injuries, Personal Injury and Wrongful Death, Chemical Exposure and Toxic Tort Law, Hurricane Insurance Claims and more. 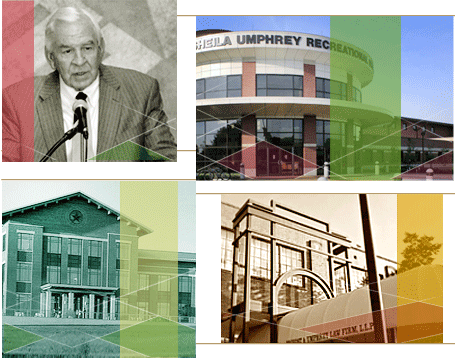 Discover Provost Umphrey today: Hard-Working Lawyers for Hard-Working People. Making a difference and giving back to the community for 50 years. Getting over the pain of a debilitating injury. The widow of a former Houston Oiler honors her husband's memory. A good Samaritan suffers life-changing injuries. How she faces life with dignity. A wife picks up the pieces after a devastating workplace accident. Helping a hard-working man recover from his injuries and get back on his feet. 50 Years of making a difference for hard-working people. Learn how our firm has been the choice for decades of high-stakes case experience, expert resources, and sharp legal research. The Provost Umphrey Law Firm, LLP serves Beaumont and all of Southeast Texas, Houston, Nashville and beyond in various areas of law. We handle cases across the country for victims of mesothelioma, asbestos, silica (silicosis), benzene exposure, serious injuries and more. 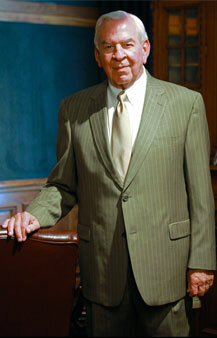 In 2010, Texas Lawyer magazine named Mr. Umphrey as one of the twenty-five greatest Texas lawyers of the past quarter-century. Umphrey was selected in Texas Super Lawyers, a Thomson Reuters Business, 2003-2008, an honor only 5% of the lawyers in the state are selected for annually. If you or a member of your family has suffered serious personal injury, or a loved one has been killed in a fatal accident, you need a law firm you can trust. When you come to the Provost Umphrey Law Firm, our lawyers and professional staff will take your needs seriously and work hard to reward your trust. When our Texas personal injury attorneys commit to a case, we stay committed. We know that our firm represents our client's best opportunity for justice, and so we are relentless in investigation, evidence collection, involving expert witnesses, case building and other aspects of seeking resolution through the legal system. Most people do not have the resources to pursue a complex lawsuit against a big insurance company or other corporation. Our attorneys deliver compassionate, thorough legal services at no up-front cost to our clients. Since 1969, we have earned our clients' trust by representing people with valid, serious personal injury claims and not the insurance companies. "They did right by me." Provost Umphrey Law Firm L.L.P. Attorneys at the Provost Umphrey Law Firm, L.L.P., headquartered in Beaumont, Texas, handle personal injury litigation and other legal matters nationwide, including the Gulf Coast states of Louisiana, Mississippi and Alabama, and Texas.